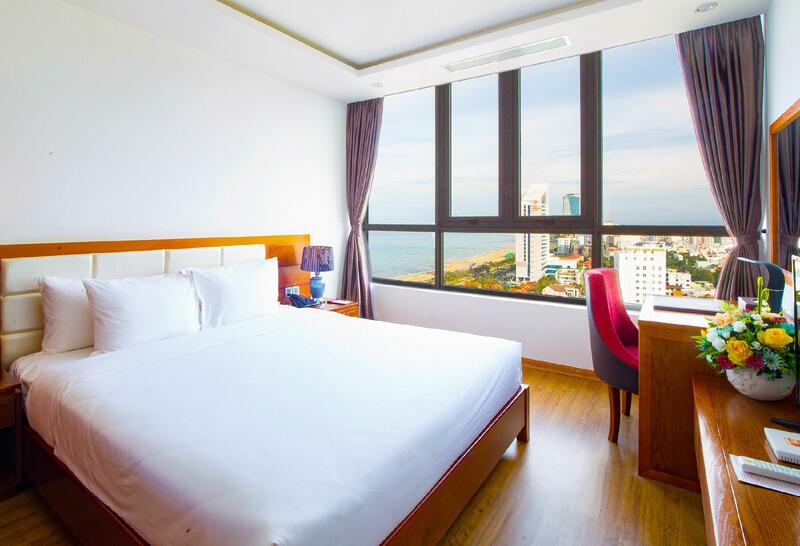 "Easy access to the beach across the street, more local vibe..."
Have a question for Le Hoang Beach Hotel Danang? "Breakfast was very good with a wide variety for both western and asian tastes." "the view of the ocean from our window was beautiful." "Near the beach there are a lot of sea food restaurant!" "Very friendly and warm welcoming staff, especially celin and..."
Located by My Khe Beach in Da Nang, Le Hoang Beach Hotel Danang offering a luxurious retreat with a large outdoor swimming pool and spa. Spectacular views of the ocean and all the city scene can be enjoyed from the hotel. All rooms at the hotel are fitted is fitted with a wardrobe, personal safe and ironing facilities. Certain units feature a seating area to relax in after a busy day. A cable flat-screen TV, minibar and an electric kettle are included. En suite bathroom comes with bath/shower facility, a hairdryer and free toiletries. Extras include bathrobes and slippers. 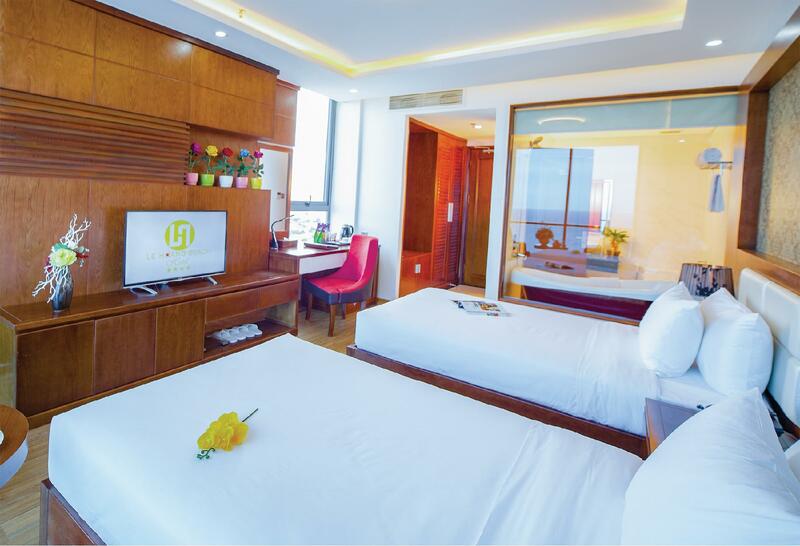 Le Hoang Beach Hotel Danang operates a 24-hour front desk where staff can assist you with private check-in/check-out, currency exchange and luggage storage. Airport transfer, daily trips can be arranged at a surcharge. Other facilities include a shared lounge and a fitness centre. 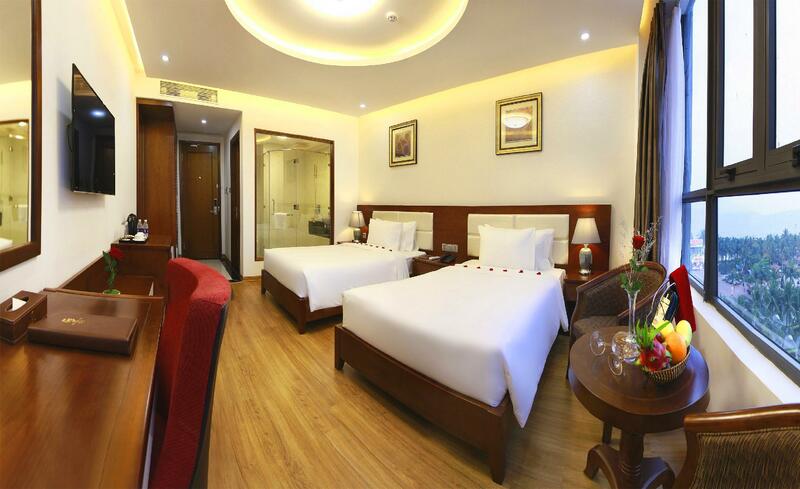 It takes 15 minutes from the hotel to Danang Airport and 13 minutes to Ngu Hanh Son. BaNa hills is about 45 km away, while The Imperial City of Huế, The Old Town of Hội An and the Mỹ Sơn ruins, popular UNESCO World Heritage sites are about 80 km from the hotel. All-day dining Le Hoang Restaurant serves delectable international dishes, including Cantonese, Vietnamese and European cuisines. As Hotel policies, guests who stay from 3 nights or more will be offered drop off at the Da Nang airport for free. The most important one is the staffs are very kind and helpful. They answered messages quickly before we get there. It’s great for people who got there at the first time.They are always with smiles and care about the customers. Location is good. It’s in front of the beach and it only cost 50000-60000 vnd to get city center. There are a lot of restaurants and spa shops around the hotel in the walking distance. Our room is big with a double bed. They provide welcome drinks and fruit when we arrived. We bought their day tour to BANA Hill, the bus pick us up in the hotel and it’s very convince for us. The price is 1400000vnd/adult, including lunch buffet and tickets. Kids under 100cm is free. Strong recommend to stay here if you travel with kids. It is one of the most enjoyable hotel stays in my many years of travel experience. The hotel is just one street across the beautiful beach. 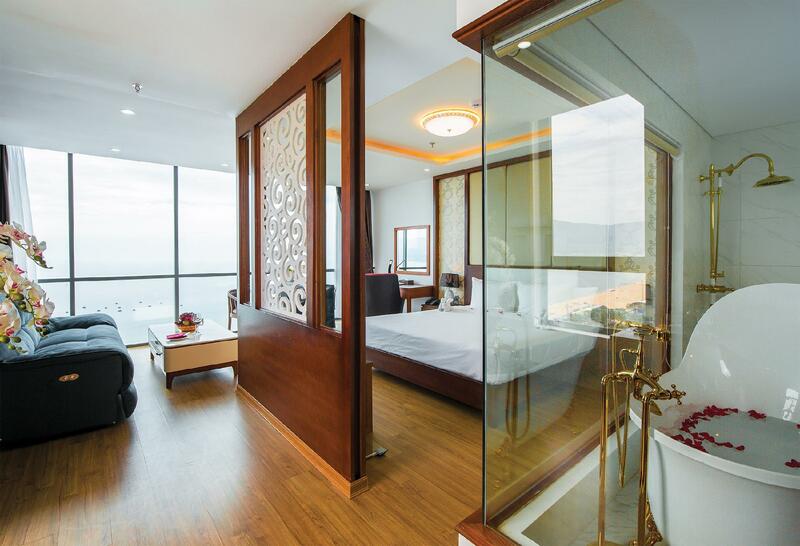 Rooms are very well furnished, with breathtaking sea view. You can even see the waves from the bathroom. Reception staff are very hospitable and helpful, speaking perfect English. The hotel's restaurant is very good, serving tasty food at affordable price. Spa is a bit expensive though. Breakfast is lavish. Our hotel room offers 180 degree view of My Khe beach, and very nice and spacious. The view from the rooftop pool is just magnificent, the gym is well equipped, breakfast is delicious. The best feature of the hotel is its staff which demonstrate the best level of service. I would give the facilities a five star if the bathroom is fitted with ventilation. Good points: Location, staff friendliness, value for money, view, accessibility to the: beach, road to Hoi An and airport. Buffet breakfast was a lovely surprise with a good selection regularly restocked. And you can rent a safe and reliable motorbike. Improvement areas: was a bit noisy in our room but near to the big road, and the rooftop pool was a bit barren, could have done with some more trees and maybe some light music being played. I spent two nights early this week at Le Hoang Beach, and was so happy with what the hotel offered. It was so nice and clean, our double suite overlooked My Khe beach, which is an easy walk across the road. The rooftop pool is absolutely beautiful with 180 degree view of the ocean and the surrounding areas, the gym was well equiped though I did not have a chance to use it. Last but not least is the hotel staff: so friendly, helpful, and obliging, who are the greatest asset of the hotel. I'll go back to this hotel of my choice after the two nights in Hoi An. The location location of hotel is very nice to relax because it is not far from the beach. Dear Ms. Sita, Warmest greeting from Le Hoang Beach hotel. Firstly, we would like to say thank you so much for choosing to enjoy your trip to Danang city and taking the time to review our hotel with many beautiful words. It is delighted to know that you are satisfied with our services and had a wonderful time during your holiday. We highly appreciate your comment and it is useful for us to strive to improve and develop our services better in the future. Once again, many thanks and we are looking forward to seeing you again for a longer vacation at Le Hoang Beach hotel. Best Regards, Guest Relation Officer. Nice and clean room. Great location, beach across the street. Short taxi ride to night market. Staff at reception and lobby are very curtious and friendly. Breakfast has enough varieties for all. Only complaint would be that the fridge listed in Agoda is really not a fridge. Its a cooler with no adjustable thermostat so even the water bottles are not cold. Most room fridge is a real fridge but theirs is luke warm so no food or drinks could be stored in it. Fantastic stay, staff were amazing especially Celine (guest relations) as she will help you with any information you need for the area. breakfast and room service are high quality thanks to the chef's and amazing waitresses always on hand. Good selection but could use some Western food for variety. Highly recommended hotel, we will be back again and again. we stayed here for three nights and we want to give our special thanks to the staff here, especially Kai, who was not only helpful but also smiled a lot. We felt extremely welcomed here. I liked that my room came with a balcony overlooking the beach. Breakfast was very good with a wide variety for both western and asian tastes. Staff were extremely friendly as well. Will definitely stay here again when visiting Danang again. This hotel is amazing. It is not the newest or most modern, and there is construction next door starting with piling works so I don’t know how noisy it will be in the future. But our stay was absolutely perfect. First of all, we were on our honeymoon, and they prepared the bed with towel swans and petals, the tub with petals and warm water and gave us fruits and a delicious cake! We were there for our photoshoot and therefore were quite BZ and did not get to enjoy the hotel as much but the service was amazing from start to finish. The view from our room on the 16th floor was amazing and awesome! The tub is abit high to get into but I absolutely loved soaking and watching the seaview. There are many seafood restaurants and also a popular bar across the hotel on the beach. I highly recommend this hotel for their service, cleanliness, amazing view and very afforadable price! very friendly and warm welcoming staff, especially celin and alice location is ok, 5 minutes walk can arrive at beach, but need to cross a street. Staff are extremely polite and friendly. A big improvement since my last stay. Breakfast is also much better with a wide range of dishes. Regretably, the beef casserole was too salty. The problem was reported to the manager and he quickly had this resolved. We had an absolutely amazing time while staying at Le Hoang Beach Hotel. It was located across the street from My Khe beach, a little off to the side which made for a fantastic walk down the sandy beach each morning. It's about a 5 minute walk to the 'busy' part of the beach, but we liked having the quiet part of the beach to ourself so the location was perfect. The staff were friendly, helpful and always went out of their way to make sure we were happy and taken care of. The hotel was luxury, the cleanliness was amazing, the rooftop was fantastic (with a pool and bar), the location fantastic and the beach view was awesome. We stayed in a deluxe room i believe and it came with a complimentary bowl of fresh fruit. When we extended our stay for another two days, they brought us more fresh fruit as well. The breakfast bar had everything you could ever want for breakfast and fantastic coffee. Overall, 10/10 and we would go back in a heartbeat. Thank you Le Hoang Beach Hotel! Dear Holly, Thank you very much for choosing Le Hoang Beach Hotel for your stay. We are so glad to know you had an enjoyable stay and room facilities with seaview found you very well, especially the staff was so helpful to you during your stay. We wish to have an oppotunity to host you back soon in your next vacation with family. We wish you lots of happiness. Best regards, The Hotel Management. Dear Valuable Customer, I appreciate your positive feedback about our hotel. We do take pride in catering to our guests’ needs the best way we can. If you’re traveling to Danang city again soon, don’t hesitate to call us. Kind regards, Hotel Management. First class services. However it's a kind of surprises for me to not hv iron provided in the room for such high rates of hotel. Dear Mr/Ms. Azurin, Thank you very much for taking your precious time to share a review of your recent stay at the hotel. We are delighted to know you had a wonderful time enjoying the different activities provided by the hotel. We do hope you find the time to return to us in the near future. Best regards, Guest Relation Officer. View was so good and staff were very kind. Especially foods in the restaurant were so tasty. All workers are kind and polite So many foods are nice at breakfast, swimming pool is quite small like 10m but cool and has a nice view. If I go to Danang again, I would chouse Le Hoang again. 직원들도 친절하고 너무 잘 대해주고 조식 맛있고 좋았어요 팁도 평균 3불정도 드린거 같은데 만족스러움! So many things went wrong with our stay in this hotel. 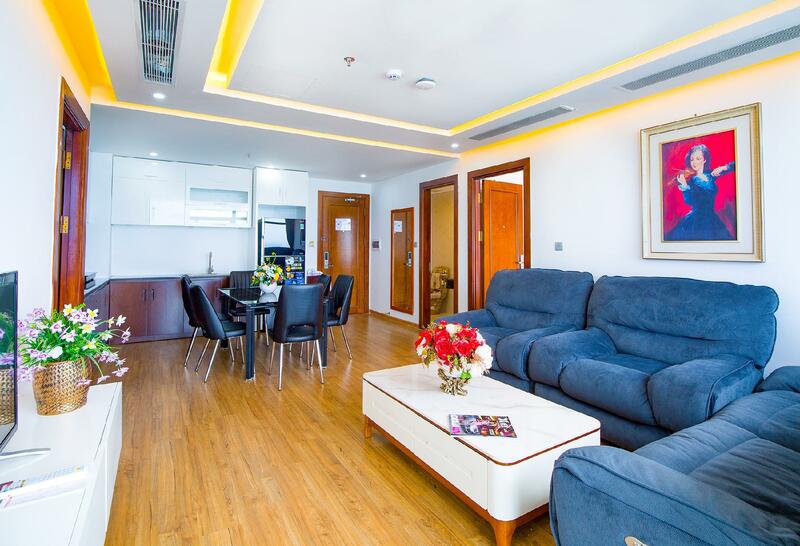 First, we booked a family suite which listed 2 bedrooms and 2 bathrooms on the Agoda site, but which turned out to have only 1 bathroom, not acceptable for 5 persons. We were eventually transferred to 2 rooms next to each other but it took over an hour before we could transfer there. By then we were too tired to go out for dinner and had to endure eating while a local group was laughing and screaming at the top of their voices in the confined space 2 tables from us. The waitstaff were too timid to do anything. Then, the next morning, we had to wait half an hour to get down to the lobby as one elevator was not operational and the other one skipped our floor repeatedly. The decor was kitschy. Artificial flowers in the lobby! For all that, the staff were friendly and clearly wanted to do their jobs well. And the view of the ocean from our window was beautiful. Hopefully they will iron out the kinks as they go along. Dear Ruth , Warmest greetings from Le Hoang Beach Hotel. Firstly, we would like to say thank you very much for choosing our hotel as accommodation and taking valuable time to write review on Agoda page. We are delighted to hear that you had a fantastic trip and beautiful experiences during your stays. Beside that, we truly apologize for the problems which made you feel uncomfortable during your last stay.This is not the type of review that we like to see, and we assure you that we will be looking into each point that you have made. If it is convenient, we would like to discuss your experience further, so that we might learn more about how to improve our hotel and service for you and our other guests. About elevator problem, we repaired it and solved this problem after the following minutes .Once again, we hope you will accept our apologizing and have chance to serve you with family in our hotel in the near future with many new changes Best regards, Guest Relation Officer. If you intent is visiting DaNang and the area and not necessarily one of the all inclusive resorts, this hotel is a fine option. Easy access to the beach across the street, more local vibe than other resorts, great views of the ocean and beach scene and monkey mountain. Spectacular sunrises. Nice rooftop pool. Rooftop bar has great city views. Breakfast was adequate. 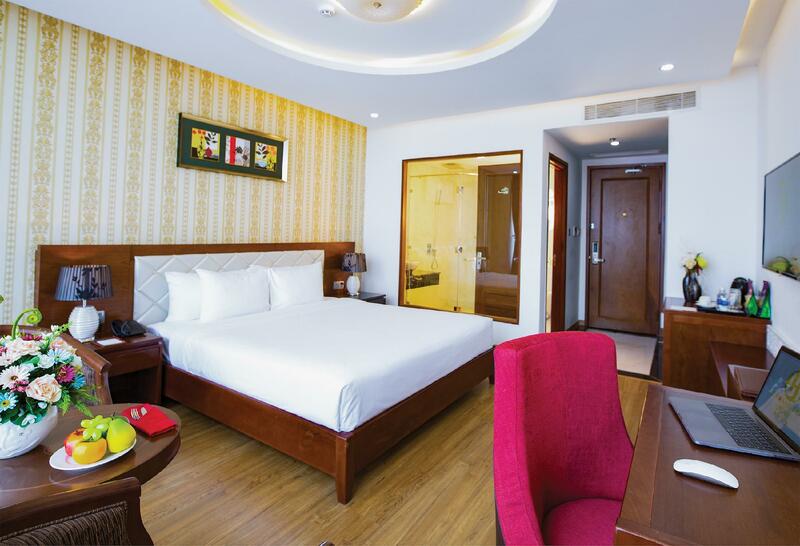 Best part is easy access to lots of good restaurants in walking distance, short taxi to the CBD of DaNang, Monkey Mountain and a good starting point for excursions to Hue or Hoi An. Dear David, Thank you for taking the time to review our property, your comments are very much valued. We appreciate your comments regarding our customer service and ongoing upgrades. Our staffs are trained to provide only the best in customer service, and we are pleased that you found value and hospitality during your stay.We believe that your review is one of the useful experiences for Experia 's members. 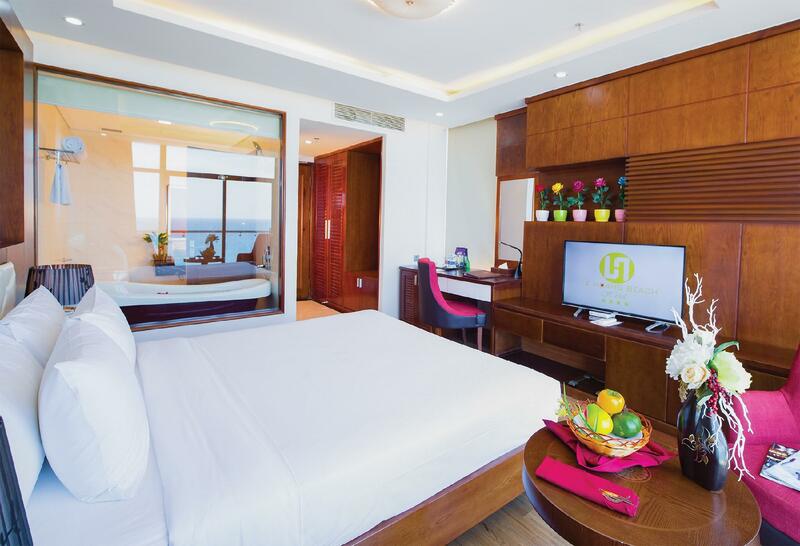 We look forward to seeing you on your next trip to Danang ! Best Regards, Guest Relation Officer.